Peaceful and private waterfront retreat with concrete seawall. 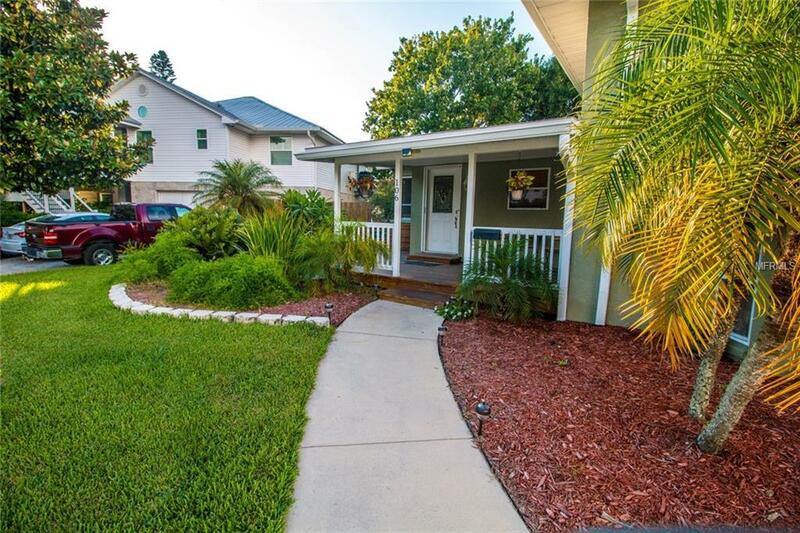 Cozy tri-level home with Master on lower level with private office and bath. Family and kitchen on second floor with french doors that open to water and dock. Third floor features 2 guest rooms, guest bath and laundry. One guest room has balcony and french door with wonderful water view. Great curb appeal with circle drive and coastal style carport and lighting with room to accommodate 6 cars . Home boast the original hardwood floors on main level with leaded glass entry door. Wood cabinets, granite counters and crown molding. 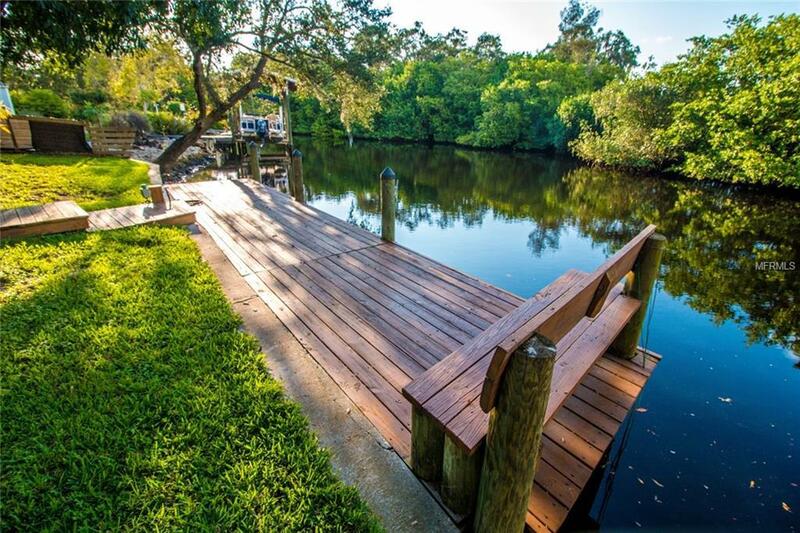 No backyard neighbors , nice wood deck and dock for your afternoon enjoyment. Amazing Koi pond as you enter the front of the home with waterfall and rare, day and night blooming water lilies. Koi fish are large and negotiable. Relaxing front porch with bench. Large aluminum shed for storage and or workshop. A/C replaced 2013, Roof replaced 2014, Hot Water Heater 2015. New Sprinkler system and sod installed in front yard in 2016. Ruskin Inlet opens to the Little Manatee River and on to Tampa Bay and the Gulf of Mexico. Outstanding fishing on the flats of Tampa Bay and numerous beaches close by for picnics and romping in the water. 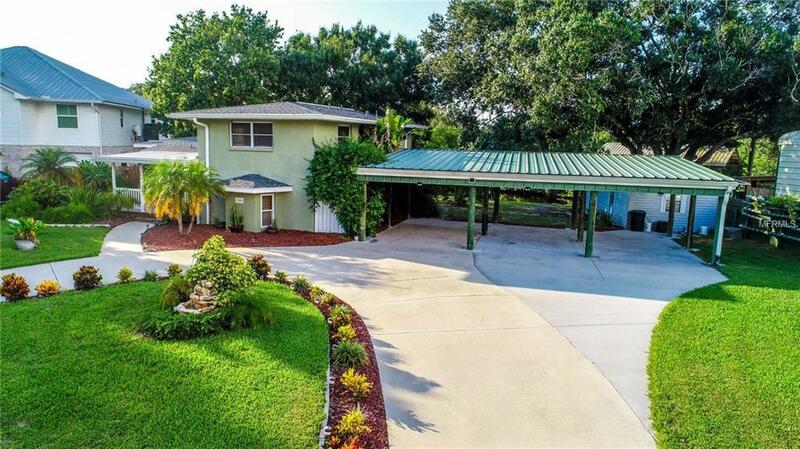 No HOA fees, CDD Fees or Deed Restrictions. Plenty of room to park RV, boats, jet skis and all the toys. 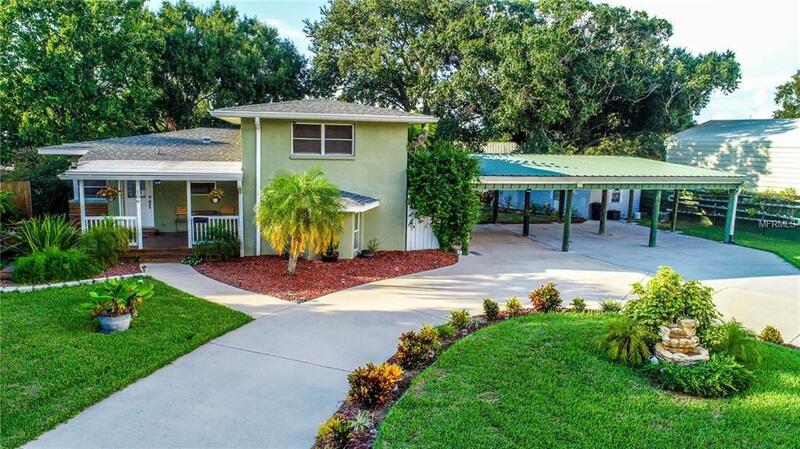 Fabulous find, call for your private showing today. ( Possible 6 month lease back with acceptable offer and furniture is negotiable ) Property is sold "As Is" for seller's convenience.